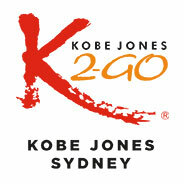 GOT and APPETITE Then AYCE Sushi @ Lunch Kobe Jones Sydney and Melbourne! $29.50 is perfect for you! 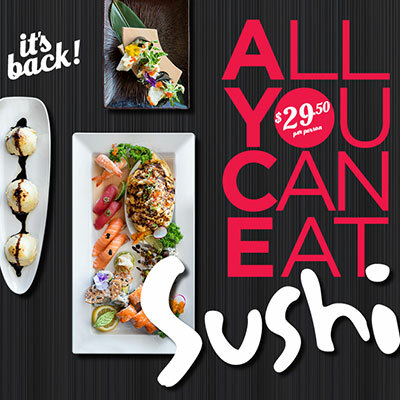 All You Can Eat Sushi for Lunch Monday to Wednesday in Sydney and Sunday to Friday in Melbourne. To start everyone gets Kobe’s famous No1 Special and our chefs daily hand roll can eat platters of our chefs made to order rolls and nigiri and of course it includes our famous Volcano roll. 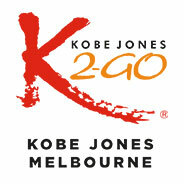 Great value at $29.50 pp. and perfect for Lunch. So don’t miss out and book early! As always everyone who eats pays and no takeaway! See you there.